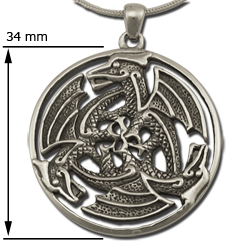 Entwined in a Celtic trillium design are three connected dragons representing wealth, power and wisdom. 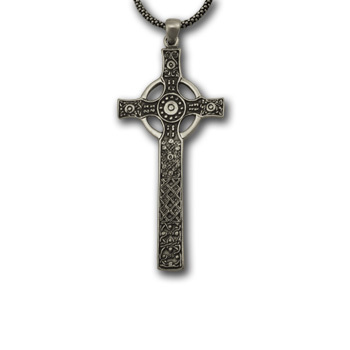 An exceptional pendant design, cast in sterling silver and oxidized to bring out the fabulous detail! This is the first piece I purchased from Moonstone a couple years ago. I recently purchased a double dragon ring that has a similar style and love wearing them together. The detail of this pendant is fabulous. I've worn it on several types of chains, but created a double chain using silver and gunmetal rolo chains that really makes the oxidized details pop. I love all my Moonstone pieces, but this is my absolute favorite! Moonstone has the best jewelry on the web! I have been buying from them for years and I keep coming back because of their great craftsmanship and totally original design work. Of course this pendant did not disappoint! It is truly a work of art! 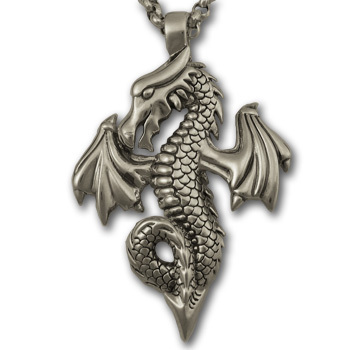 This pendant is amazing! I knew I loved this pendant when I saw it on the site, but it is hard to describe how much better and more beautiful it is in person. It has incredible and intricate details that make people stop me all the time to ask to get a closer look. And the quality is exceptional as well. Well worth the money at twice the price! I got this a gift for my girlfriend. She loves dragons and the Triskele design and symbolism. The pendent itself is a solid, heavy piece of jewelry, and a nice big size. 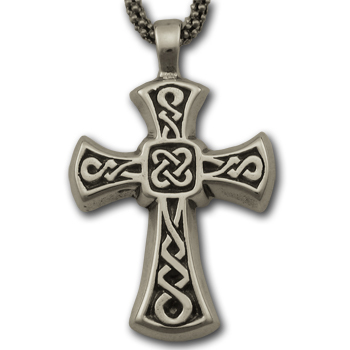 The detail of the carving is very nice-- this is no cheap pewter or steel thing you get from other pagan jewelry sites.